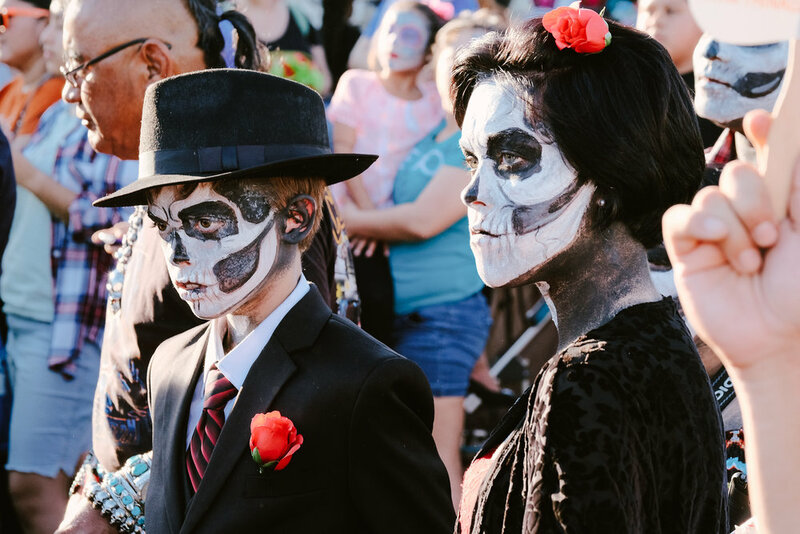 Halloween was yesterday and while that is a fun holiday, I tend to get more excited about Dia De Los Muertos. 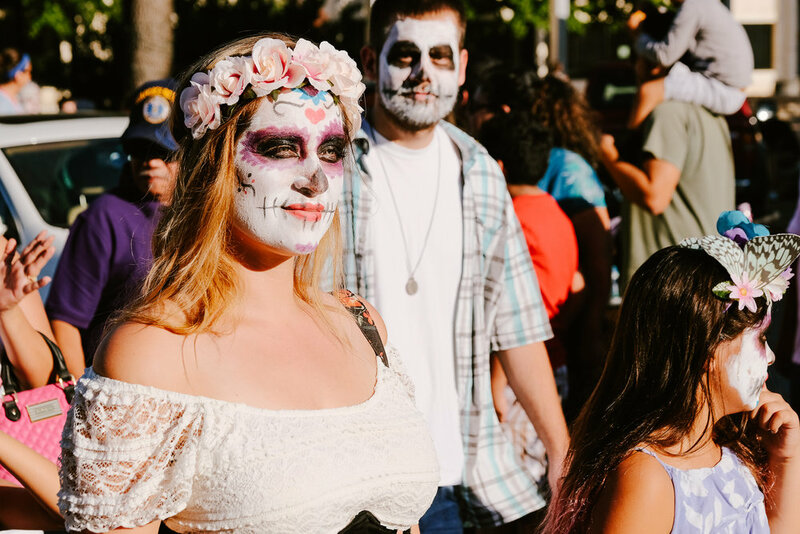 The "Day of the Dead" is a Mexican holiday that actually spans a couple of days - the first and second of November. It's a time to remember loved ones who have passed on and to invite their spirits to come back for a day and enjoy fellowship with the living. November 1 is centered around children and the 2nd is for adults. There are always celebrations in these parts of Texas that usually include parades and parties in the street. I got to attend Round Rock's event and join in on the fun. 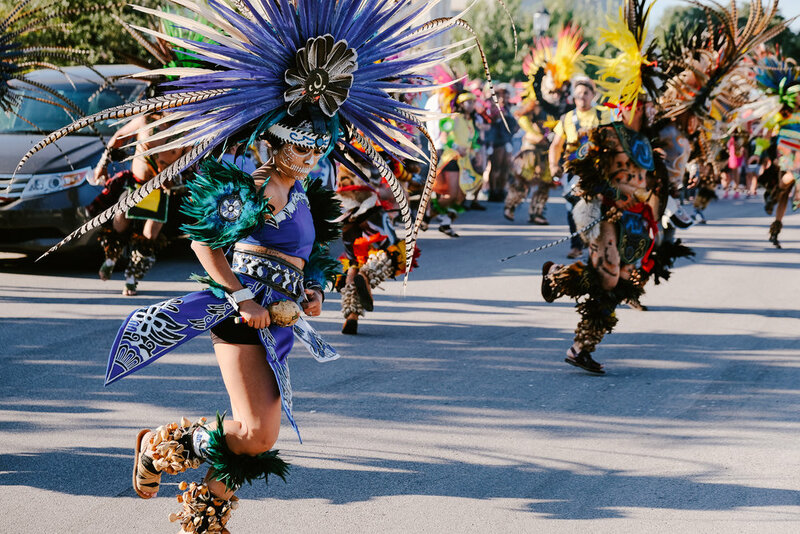 I'm from San Antonio originally and while I was familiar with the holiday, I didn't know much about it. When my mother passed away a few years back, the priest who presided over her funeral services asked me for a photo of her for an altar at the church. That church kept an altar that they assembled for Dia De Los Muertos up for the whole month of November. As I learned more about it, I found great comfort in the customs of this holiday. The Mexican people have a beautiful way of looking at death. 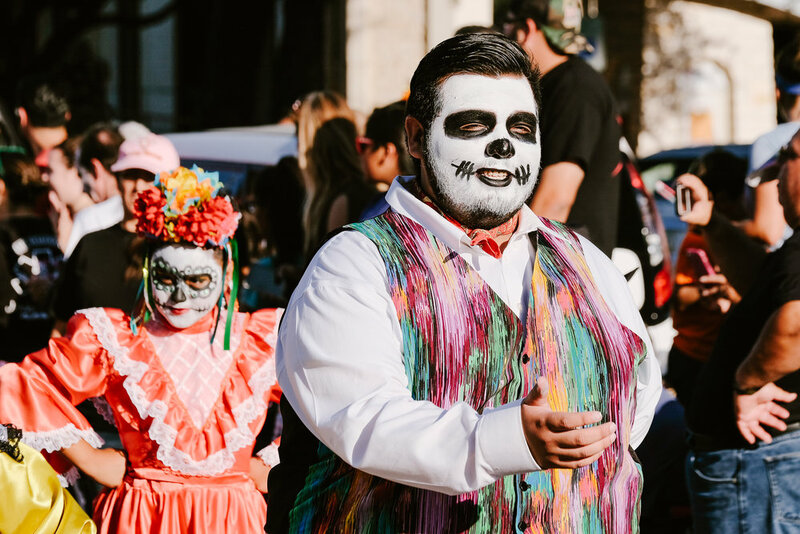 It is an inevitable part of life and Dia De Los Muertos is a celebration of the lives of our loved ones who have passed on. They are invited to return and enjoy life amongst their families and friends for a day. There is no grieving. 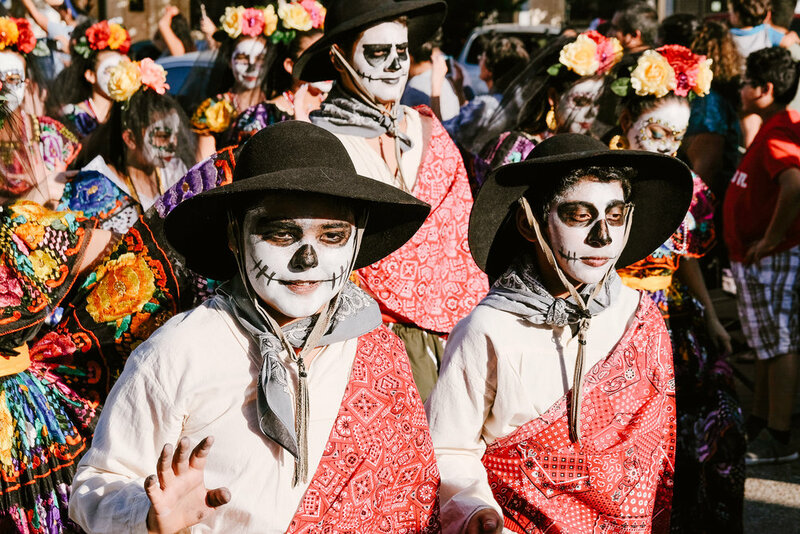 One of the most beautiful things I've heard said about Dia De Los Muertos is that there can be no tears because we don't want to make the path back to the living world a slippery one. So instead we dance, we laugh, we remember, we eat and drink, we celebrate life. 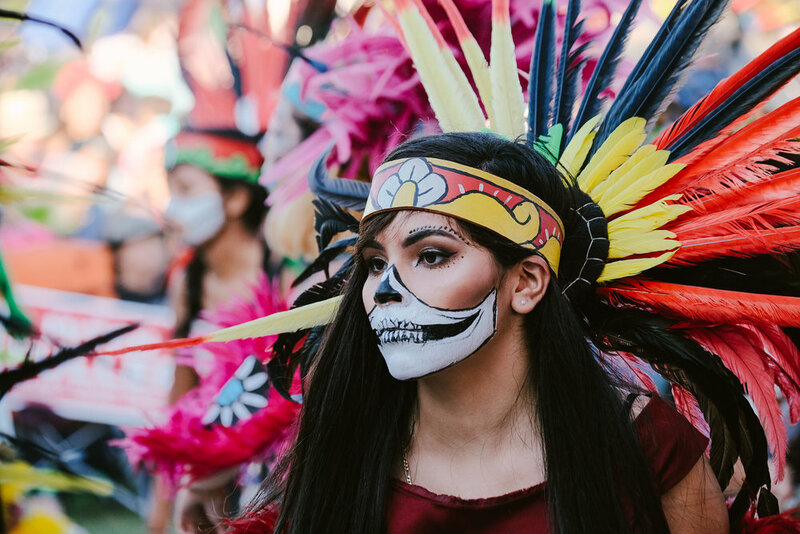 Dia De Los Muertos celebrations are a mix of customs and influences from Catholicism and Aztec rituals. 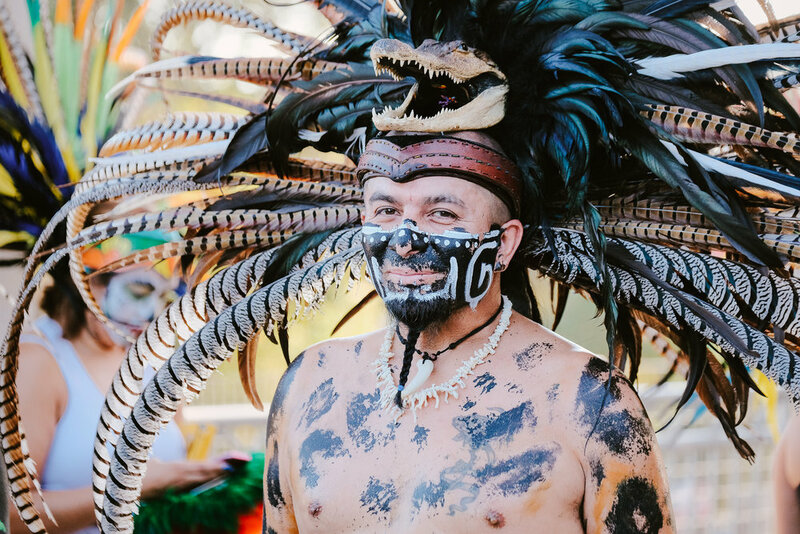 It is popular for people to paint their faces to resemble whimsical skulls and wear colorful clothing. 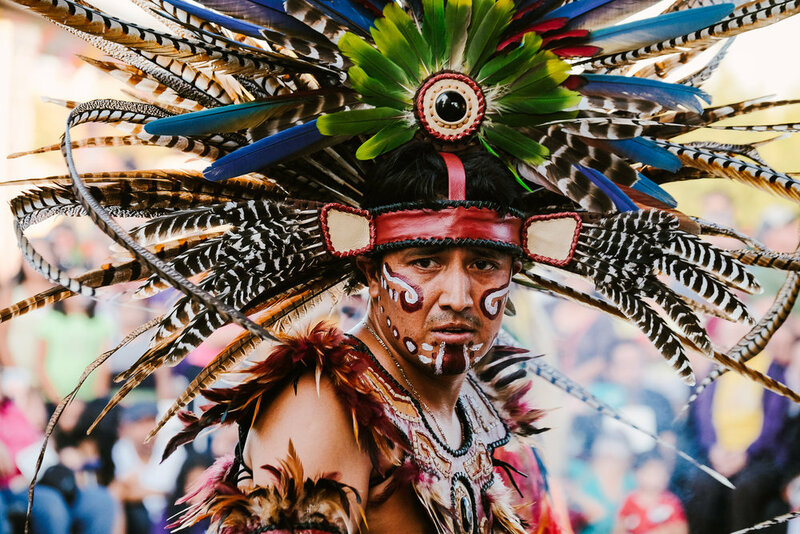 Some celebrations, such as the one in Round Rock, emphasize Aztec ritual garments and dancing. They are lively events with lots of happy faces. Here some of my favorite images of the beautiful living souls who attended. All images were taken with a Fujifilm X-T2 with the XF 50mm-140mm lens and Classic Chrome film simulation.